A lot of this information was learned from IFPA Pro Tommy Jeffers who was mentored by Lyle McDonald. Yohimbe is harvested from trees grown in Africa and is used and sold as a supplement for fat loss and male sexuality. 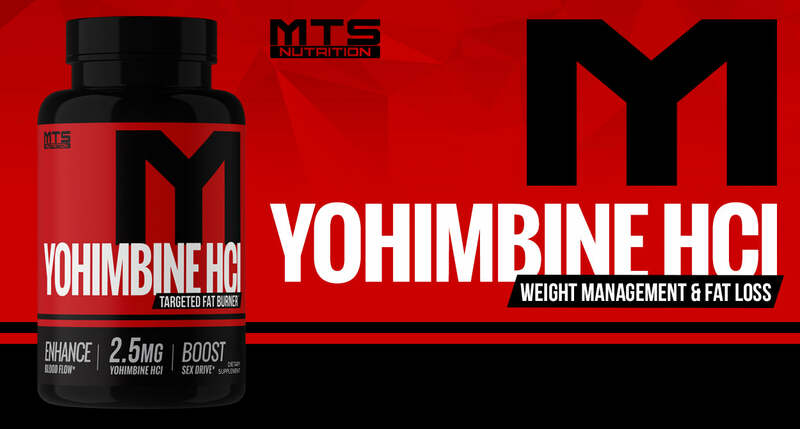 Yohimbine is a component of yohimbe and is the main alkaloid (and main active component) within yohimbe that produces the desired effects such as fat loss and male function (more shakin’ and bakin’). We want the Yohimbine HCl—the ACTIVE EXTRACT-- not yohimbe bark which tends to not be accurately dosed. Thus, DO NOT BUY the bark, get the HCl version, as we make at MTS Nutrition. That way, we know what dose we are getting and can control the amount carefully, thus minimizing any side effects and maximizing results. Yohimbine works on the alpha receptors. Alpha receptors inhibit fat breakdown, so wherever they are abundant, you have a harder time losing fat in that area. For example, they are in high concentration in men’s lower back and abs and in women’s hips and thighs. Yohimbine HCl acts as an alpha receptor blocker. Since alpha receptors inhibit fat breakdown, and Yohimbine HCl inhibits alpha receptors, the net result is that you get an INCREASE in fat breakdown. Thus, you get a significant increase in fat breakdown directly from an area that normally is the hardest place to lose it from. This is one reason why trainers like myself ALWAYS have my clients use this precontest! Based on the studies we have examined, I recommend working up to 0.2mg/Kg of bodyweight. So that means a 220lb bodybuilder (divide by 2.2 to get Kg) is 100Kg and would work up to a dose of 20mg of Yohimbine HCl, or eight capsules of MTS Nutrition Yohimbine HCl. I would typically start this person at one capsule and work up towards the full dose each consecutive session the person had no undesirable side effects. As I was discussing with Joe Daniels of Swing This Kettlebells, Yohimbine HCl's effects work the best in the absence of insulin, and its effects start to diminish the more insulin is present. But this doesn’t mean that you cannot eat carbs! Insulin will usually be under control on a lower carb diet, like most trainers will put you on. Obviously, cardio first thing in the morning is a good time (with a scoop of MTS Nutrition Whey in your belly) and even post workout. What you can do is take the Yohimbine HCl DURING your weight training workout 15-20 minutes before you are done. Then, hop on the cardio post weights and BAM—FAT BLAST! 1) Starke K, Trendelenburg AU, Limberger N. Presynaptic a 2-adrenoceptors: subtype determination. In: "Adrenoceptors: Structure, Function, and Pharmacology", Ruffolo, RR ed. Harwood Academic Publishers. 1995:99-108. 2) Byland, DB. Subtypes of a 1- and a 2-adrenergic receptors. FASEB J 1992; 6:832-839. 3) Heible JP, Ruffolo RR, Starke K. Identification, characterization and subclassification of a 2-adrenoceptors: an overview. In: "a 2-Adrenergic Receptors: Structure, Function and Therapeutic Implications". Lanier SM, Limbird LE eds. Harwood Academic Press. 1997:1-18. 4) Raiteri M, Bonanno G, Maura G, et al. Subclassification of release-regulating a 2-autorecptors in human breain cortex. Br J Pharmacol 1992; 107:1146-1151. 5) Piascik MT, Smith MS, Edelmann SE, et al. a 2 and a 1-Adrenergic receptors in the regulation of peripheral vascular function. In: "a 2-Adrenergic Receptors: Structure, Function and Therapeutic Implications". Lanier SM and Limbird LE eds. Harwood Academic Publishers. 1997:171-178. 6) Trendelenburg AU, Limberger N, Rump LC. a 2-Adrenergic receptors of the a 2C subtype mediate inhibition of norepinephrine release in human kidney cortex. Mol Pharmacol 1994; 415:M68-M76. 7) Galitzky J, Larrouy D, Berlan M, Lafontan M. New tools for human fat cell alpha2A-adrenoceptor characterization. Identification on membranes and on intact cells using the agonist [3H]RX821002. J Pharmacol Exp Ther 1990; 252:312-319. 8) Lafontan M, Berlan M. Fat cell alpha2-adrenoceptors: the regulation of fat cell function and lipolysis. Endocr Rev 1995 Dec, 16(6):716-738. 9) Arner P, Kriegholm E, et al. Adrenergic regulation of lipolysis in situ at rest and during exercise. J Clinical Invest 1990; 85:893-898. 10) Maurige P, J Galitzky, M Berlan, M Lafontan. Heterogeneous distribution of beta and alpha-2 adrenoceptor binding sites in human fat cells from various fat deposits: functional consequences. Eur J Clin Invest 1987; 17:156-165. 11) Lafontan M, et al. Adrenergic regulation of adipocyte metabolism. Hum Reprod 1997 Oct; 12 Suppl 1:6-20. 12) Gether U, Lin S, Kobilka BK. Delineating ligand-specific structural changes in adrenergic receptors by use of fluorescence spectroscopy. In: "a 2-Adrenergic Receptors: Structure, Function and Therapeutic Implications". Lanier SM and Limbird LE eds. 1997. Harwood Academic Publishers. 1997: 31-42. 13) Hodgetts V, Coppack S, Frayn KN, Hockaday TDR. Factors controlling fat mobilization from human subcutaneous adipose tissue during exercise. J Appl Phys 1991; 71:445-451. 14) Millet L, Barbe M, Lafontan M, Berlan M, Galitzky J. Catecholamine effects on lipolysis and blood flow in human abdominal and femoral adipose tissue. J Appl Physiol 1998; 85(1):181-188. 15) Ruffolo RR, Bondinell W, Hieble JP. a - and b -Adrenoceptors: From the gene to the clinic. 2. Structure-activity relationships and therapeutic applications. J Med Chem 1995; 38(19):3415-3444. 16) Arner P, Bolinder J. Microdialysis of adipose tissue. J Int Med 1991; 230:381-386. 17) Frayn KN, Fielding BA, Summers LKM. Investigation of human adipose tissue metabolism in vivo. J Endo 1997; 155:187-189. 18) Willette RN, Hieble JP, Sauermelch CF. The role of the alpha adrenoceptor subtypes in sympathetic control of the acralcutaneous microcirculation. J Pharmacol Exp Ther 1991; 256:599-605. 19) Borbujo J, Garcia-Villalon AL, Balle J, et al. Postjunctional alpha-1 and alpha-2 adrenoceptors in human skin arteries. An in vitro study. J Pharmacol Exp Ther 1989; 249:284-287. 20) Galitzky J, Lafontan M, Nordenstrom J, Arner P. Role of vascular alpha-2 adrenoceptors in regulating lipid mobilization from human adipose tissue. J Clin Invest 1993; 91:1997-2003. 21) Horn PT, Kohli JD, Listinsky JJ, Goldberg LI. Regional variation in the alpha-adrenergic receptors in the canine resistance vessels. Nauyn-Schmiedeberg’s Arch Pharmacol 1982; 318:166-172. 22) Flavahan NA, Cooke JP, Shepherd JT, Vanhoutte PM. Human postjunctional alpha-1 and alpha-2 adrenoceptors: differential distribution in arteries of the limbs. J Pharmacol Exp Ther 1987; 24:361-365. 23) Glusa E, Markwardt F. Characterization of postjunctional alpha-adrenoceptors in isolated human femoral veins and arteries. Nauyn-Schmiedeberg’s Arch Pharmacol 1983; 323:101-105. 24) Enoksson S, Nordenstrom J, Bolinder J, Arner P. Influence of local blood flow on glycerol levels in human adipose tissue. Int J Obesity 1995; 19:350-354. 25) Kovach AGB, Kovach E, Sandor P, et al. Metabolic responses to localized ischemia in adipose tissue. J Surg Res 1976; 20:37-44. 26) Barbe P, Galitzky J, Riviere D, Senard JM, et al. Effects of physiological and pharmaceutical variation of sympathetic nervous system on plasma non-esterified fatty acid concentrations in man. Br J Pharm 1993; 36:25-30. 27) Harmelen VV, Lonnqvist F, Thorne A, et al. Noradrenaline-induced lipolysis in isolated mesenteric, omental and subcutaneous adipocytes from obese subjects. Int J Obesity 1997; 21:972-979. 28) Arner P. Regulation of lipolysis in fat cells. Diab Rev 1996; 4:450-463. 29) Bjorntorp P. Obesity and the adipocyte. Neuroendocrine factors in obesity. J Endocrin 1997; 155:193-195. 30) Abate N, Garg A. Heterogeneity in adipose tissue metabolism: causes, implications, and management of regional adiposity. Prog Lipid Res 1995; 34:53-70. 31) Maurige P, et al. Regional difference in adipose tissue lipolysis from lean and obese women: existence of postreceptor alterations. Am J Physiol 1995 Aug; 269(2 pt 1): E341-E350. 32) Hellstrom L, Blaak E, Hagstrom-Toft E. Gender differences in adrenergic regulation of lipid mobilization during exercise. Int J Sports Med 1996; 17:439-447. 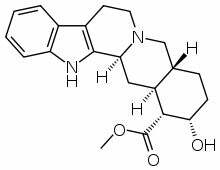 33) Goldberg MR Robertson D. Yohimbine: a pharmacological probe for study of the a 2-adrenoceptor. Pharmacol Rev 1983;35:143-180. 34) Berlan M, Galitzky J, Riviere D, et al. Plasma catecholamine levels and lipid mobilization induced by yohimbine in obese and non-obese women. Int J Obesity 1991; 15:305-315. 35) Galitzky J, Taouis M, Berlan M, Riviere D, et al. a 2-Antagonist compounds and lipid mobilization: evidence for a lipid mobilizing effect oral yohimbine in healthy male volunteers. Eur J Clin Invest 1988; 18:587-594. 36) Galitzky j, Riviere D, Tran MA, Montastruc JL, Berlan M. Pharmacodynamic effects of chronic yohimbine treatment in healthy volunteers. Eur J Clin Pharmacol 1990; 39:447-451. 37) Kuchio C, Jonderdo K, Piskorska D. Does yohimbine act as a slimming drug? Isr J Med Sci 1991; 27:550-556. 38) Zahorska-Markiewiz B, Kuchio, Piskorska D. Adrenergic control of lipolysis and metabolic responses in obesity. Horm Metabol Res. 1986; 18:693-697. 39) Murburg MM, Villacres EC, Ko BN, Veith RC. Effects of yohimbine on human sympathetic nervous system function. J Clin Endocrin Metab 1991; 73:861-865. 40) Sax L. Yohimbine does not affect fat distribution in men. Int J Obesity 1991; 3:261-280. 41) Bulow J. Adipose tissue blood flow during exercise. Dan Med Bull 1983; 30:85-100. 42) Bulow J, Madsen J. Regulation of fatty acid mobilization from adipose tissue during exercise. Scand J Sports Sci 1986; 8:19-26. 43) Bulow J, Madsen J, Astrup A, Christensen NJ. Vasoconstrictor effect of high FFA/albumin ratios in adipose tissue in vivo. Acta Physiol Scand 1985; 125:661-667. 44) Berlan M, Montastruc JL, Lafontan M. Pharmacological prospects for a 2-adrenoceptor antagonist therapy. TiPS Rev 1992; 13:277-282. 45) Montastruc P, Belan M, Monstastruc JL. Effect of yohimbine on submaxiallary salivation in dogs. Br. J Pharmac 1989; 98:101-104. 47) Fiaramonti J, Berlan M, Fargeas MJ, Bueno L. Yohimbine stimulates colonic motility through a central action in conscious dogs. J Gastrointes Mot 1992; 4:137-141. 48) Charney DS, Heninger GR, Breier A. Noradrenergic function in panic anxiety. Effects of yohimbine in healthy subjects and patients with agoraphobia and panic disorder. Arch Gen Psychiatry 1984; 41:751-763. 49) Murburg MM, Villacres EC, Ko BN, Veith RC. Effects of yohimbine on human sympathetic nervous system function. J Clin Endocrin Metab 1991; 73:861-865. 50) Grunhaus L, Tiongco D, Zelnik T, Flegel P, et al. Intravenous yohimbine. Selective enhancer of norepinephrine and cortisol secretion and systolic blood pressure in humans. Clin Neuropharmacol 1989; 12:106-114. 51) Henninger GR, Charney DS, Price LH. a 2-Adrenergic receptor sensitivity in depression. The plasma MHPG, behavioral and cardiovascular responses to yohimbine. Arc Gen Psychiatry 1988; 45:718-726. 52) McDougle CJ, Krystal JH, Price LH, Heninger GR, et al. Noradrenergic response to acute ethanol administration in healthy subjects: comparisons with intravenous yohimbine. Psychopharmacol 1995; 118:127-135. 53) Betz, JM, White KD. Gas chromatographic determination of yohimbine in commercial yohimbine products. J AOAC Int. 1995; 78:1189-1194. 54) Benedek IH, Blouin RA, McNamara PJ. Serum protein binding and the role of increased alpha1-acid glycoprotein in moderately obese subjects. Br J Clin Pharmacol 1984; 18:941-946. 55) Guthrie SK, Hariharan M, Grunhaus LJ. Yohimbine bioavailability in humans. Eur J Clin Pharmacol 1990; 39:409-411. 56) Hedner T, Edgar B, Edvinsson L, Hedner J, et al. Yohimbine pharmacokinetics and interaction with the sympathetic nervous system in normal volunteers. Eur J Clin Pharmacol 1992; 43:651-656. 57) Owen JA, Hakatsu SL, Fenemore J, Condra M, et al. The pharmacokinetics of yohimbine in man. Eur J Clin Pharmacol 1987; 32:577-582. 58) Le Verge R, Le Corre P, Chevanne F. Determination of yohimbine and its two hydroxylated metabolites in humans by high-performance liquid chromatography and mass spectral analysis. J Chromatog 1992; 574:283-292. 59) Brannan T, Martinez-Tica J, Yahr MD. Effect of yohimbine on brain monoamines: an in vivo study. J Neural Transm 1991; 3:81-87. 60) Hubbard JW, Pfister SL, Beidinger Am, Herzig TC, et al. The pharmacokinetic properties of yohimbine in the conscious rat. Naunyn-Schmiedeberg’s Arch Pharmacol 1988; 337:583-587.